This is liberal education for Indians! 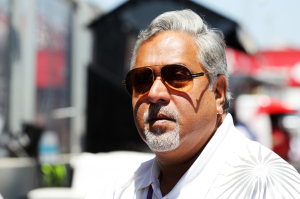 The London Crown Court proceedings on Vijay Mallya! As for a deeper and serious study of how India is faring in its many pretension, the status of the rule of law in India, we can learn a lot from what the British courts and judiciary rate of Indian institutions. This we consider a great education and learning about our own self-assessment. Right now there is a high profile Extradition Proceedings against India’s famous Business Tycoon, Mr. Vijay Mallya who was almost our neighbour in Bangalore, now finds himself in the far off London fighting a grim battle against the Indian Government’s attempt to get him extradited to India to face court cases against multiple cases. Fine. The case in London is going on as we write and as far as the many first days of the proceedings of the court hearings bring home, at least for us at this end of the intellectual and historic debate we get to know that how we Indians are exposed to be yet far from maturing as an independent nation. You see, we in India, still talk long and loud and there is no open debate, we assume that once we are in power or authority however humble or elevated as politicians to petty officials we don’t owe any moral duty to behave within any known norms of humility or even with some moral responsibility. See the series of exposes about the current state of Indian establishment practices here. Our much-inflated self glorifications are utterly false and fall to the ground so flat. Our Supreme Court had come for comments at the London Court! So, we hear from the London Barrister, Clare Montgomery, that our highest court’s proceedings are just often motivated for further career advancement. The Hindu and its other publications have this much to say: “A legal expert from UK sought to link the decision-making process of Supreme Court justices to future appointment prospects”. This is a very serious allegation indeed. So too comments on the functioning of the CBI and in particular the latest appointment of the CBI special director Rakesh Asthana, as well as the Enforcement Directorate. What a shame to hear such allgations. But please don’t dismiss these as allegations. The British society and the media and also the long British tradition of freedoms of the citizens are an article of faith there. Here? We still live as pretenders! Please, Indian readers, realize this current reality. A professor, Lawrence Saez, a Spaniard, Professor of Political Economy for South East Asia at the School of Oriental and Asian Studies (SOAS) participated as a witness at the court. The Crown Prosecution Service (CPS) at the Westminster Magistrates Court, how even our must rated CBI is found wanting when it comes to acting independent of the Indian government. In fact, much unsavory details were forthcoming in London about own government functioning. Our Supreme Court is so politicized, he quoted a court pronouncement, the CBI as a “Caged Bird “and it is also there in India everything, every institution, every controversy is politicized and the London Court is informed of the new director of the CBI, Mr. Asthana was appointed not on objective grounds. These are all serious exposes and only in a liberal and open and free society such uncomfortable truths can be openly raised and discussed. What are the lessons for Indian generation? You see we in India have learnt to live as hypocritical citizens, we are so afraid of the governments, why we even fear all governments; we even worship our politicians as demi-gods. That is one reason why so much corruption prevails and we have so many of our elected MLAs, MPs, why even ministers continue to live such openly unacceptable lives, as corrupt leaders. Why, even in such states like Tamil Nadu we have so many corrupt politicians as leaders of parties for so many years. How can we put up with such atrocities? Simply because we don’t have a tradition of good government in this country in all these years. Our media is simply incapable of rising to the occasion. Many times, the major media don’t even like reporting uncomfortable political realities. Even our political parties don’t escape criticism for playing politics at every turn. The Congress, the BJP and the Shiv Sena are all drawn into the court proceedings and they are not even spared for their biased political conduct. The allegation that the CBI is seen as a caged bird, said the professor, Saez, he cited a number of studies including the Supreme Court reference to the caged bird comment and said the prof, “is unfortunately a perspective widely acknowledged to be true”. He also referred to the research conducted between 1988 and 2009 that looked at the correlation between the election cycles and the number of corruption cases registered. As for Indians from here, we can see the very obvious truth emerging from the exposures made against the functioning of the Indian government all through the years. Let us only realize that what we are assuming to be good governance is no more good governance but it is purely an outrageous ego play called Indian democratic politics. Though we are complacent about the governments in power here, from the regional autocrats, the chauvinistic outrages in the name of language, race and the very own cinema glamour, to the very many variations of ethnic violence and much communal outrages with which we are putting up with such helplessness. The state of citizen freedoms, the individual freedoms and the rights of the most vulnerable sections of the people, the tradition of oppressions of many kind that go with caste and communal violence. At the end of the day Indian citizens are putting up with such outrages and India is yet to be termed as an authoritarian government where the rule of law is the last thought that comes to mind. It is the sense of helplessness, the very many excesses of the political elite that cry for redressal. At last, we don’t know what is the real trigger the government has now woken up, to set upto 12 special courts to try the total number of criminal cases-linked politicans, numbering in all some 13,500 cases! An analysis shows that by the way the courts in India is going about their functioning, that an average of 4.6 cases per day has to be disposed , if we have to reach the set target to dispose of all the pending criminal cases against the politicians. This news about how Indian courts, Indian government agencies, even the apex court has come for comments at the London court, can’t have come at a worst time of the day for the Narendra Modi government. As on date there are 184 Lok Sabha and 44 Rajya Sabha MPs facing criminal charges. Maharashtra tops with 160 lawmakers face criminal charges! UP comes second with 143 legislators facing charges. There are other states with equally damning cases. Criminal court trials waiting for their judgments like the 2 G and Coal Scandal and other latest cases involving former Chief Ministers from Bihar and also case from West Bengal as in Narada case.